Stage 4 of the Towpath Trail Extension will run 1.5 miles from Literary Ave. to the future Canal Basin Park in Downtown Cleveland’s Flats. 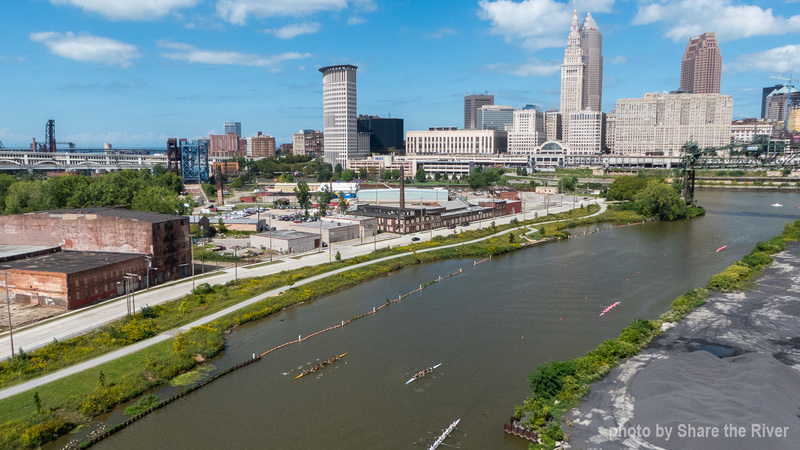 Drive down Scranton Road and you’ll a paved trail featuring native meadow plants, fish habitats, and scenic overlooks where industrial brownfields used to line the western bank of the Cuyahoga River. 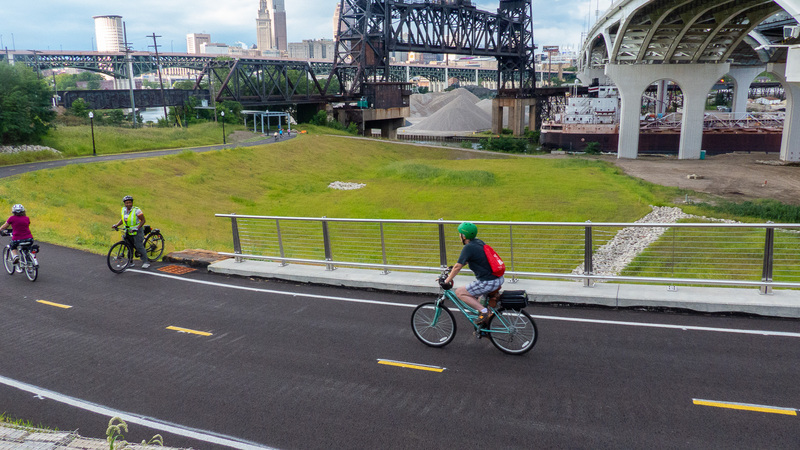 Take a spin into northern Tremont and note the sweeping views of the Innerbelt Bridge. These projects push the Towpath toward completion, and link Tremont to downtown Cleveland via an easy bike ride. In September 2016, ODOT opened the second of the twin Innerbelt Bridges, now known as the George V. Voinovich Bridge, reinstalling I-90/I-71 as a hassle-free route in-and-out of downtown Cleveland. There has traditionally been an undeniable downside to this type of highway infrastructure, and the steep price was usually paid by the surrounding neighborhood. Under normal conditions, ten lanes of high-speed, limited access roadway functions as an ad hoc and contextless divide, cleaving the neighborhood from its surroundings. Major highway infrastructure interrupts pedestrian access, and the structure itself becomes a target for graffiti and litter. ODOT and its lead consultant C|S|S were very responsive to these concerns. Instead of designing an intimidating and inaccessible goliath, the design team integrated the project into the fabric of Tremont. Along with the basic transportation benefits, the project now provides northern Tremont with parkspace, urban farming opportunities, and a piece of the Towpath Trail. 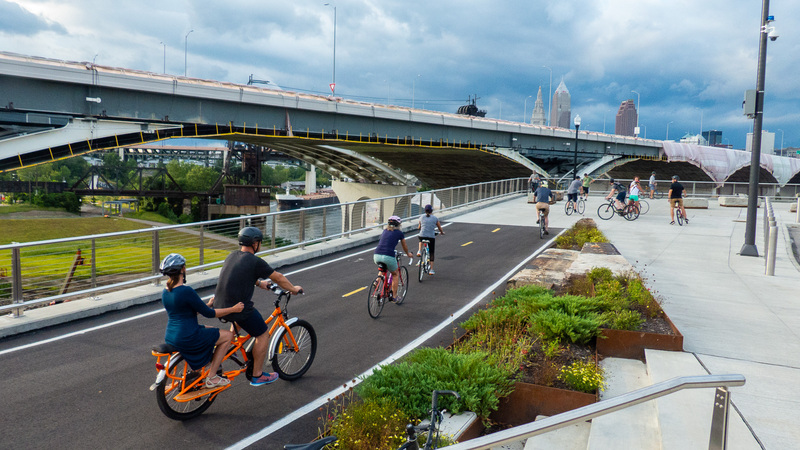 This section of trail now connects northern Tremont to the Flats, and includes many world-class design features like dramatic overlooks and innovative reuses of demolished bridge materials. Learn more about how the Innerbelt Bridge Project is helping the Towpath. 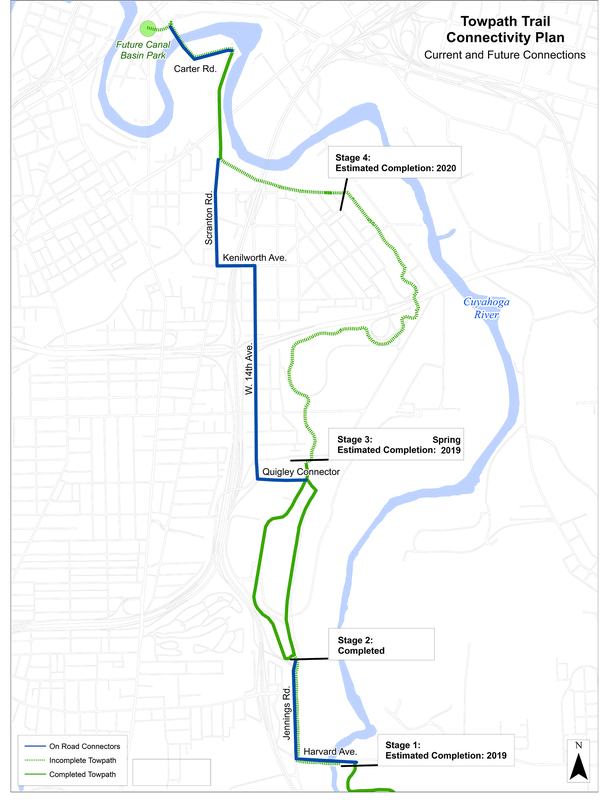 In summer 2014, the City of Cleveland installed a signed on-road route to connect riders from the future Canal Basin Park to the current northern terminus of the Towpath Trail at Harvard Road. From this point, riders can head South to Cuyahoga Valley National Park and beyond. This on-road signage is a temporary stand-in for the off-road trail, and is in no way intended to become the permanent Towpath linkage. View the route online here.